Behind every elegant Thomas Sattler custom home lies a family tradition of excellence – three generations of unwavering commitment to integrity, honesty, and quality homes of exceptional beauty. This is what has established us as one of metro Denver’s leading custom builders. Our award-winning process is the Intelligent Way to a Luxury Home. Dickenson Place is a unique enclave of six luxurious single-family homes with a mid-century modern architectural style and a contemporary flair. Nestled in the heart of one of Denver’s most vibrant areas – University Hills – offering convenience for active lifestyles. From driving to light rail, biking or walking, this community is central to everything Denver with easy access to local shops, downtown, Cherry Creek and DTC. 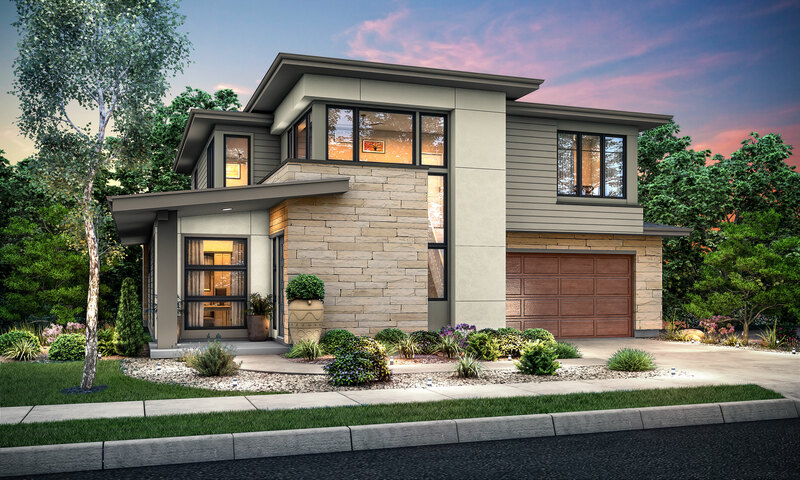 Thomas Sattler Homes offers luxury Golf Villas in the prestigious Ravenna – a private gated golf course and resort-style community located in the rolling foothills of Waterton Canyon by the Platte River in Littleton, Colorado. Enjoy low maintenance luxury living with scenic these views or wherever you want to call home. Our European Estates Collection includes luxurious finishes and robust features with stunning old-world architectural styles. This elegant collection is also pre-designed, pre-priced, and built on your land – intelligently designed to maximize value. The City Lights home collection draws its energy from Denver’s distinct urban pulse. Alley access, attached and detached garages, and timeless architectural features seamlessly blend into this classic style – all starting at a remarkable price point. Designed to optimize city life.